I recently injured my achilles tendon and I had to take 6 weeks off from running. I had to wear a walking boot for 3 weeks during this time of recovery. 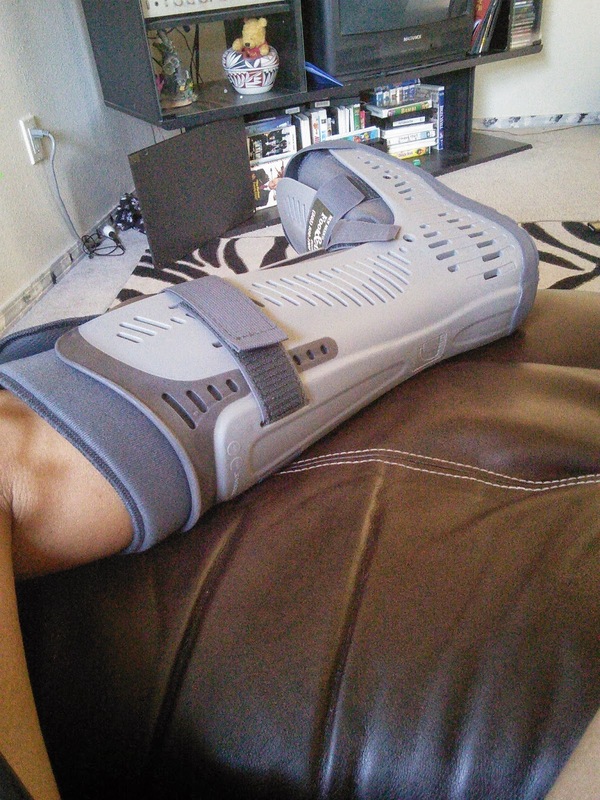 This walking boot allowed my achilles tendon to rest and repair. I could not walk very fast with this massive boot on my leg and I was not allowed to walk for long periods of time. Once I was released from the boot, I had to gradually use my leg again for three weeks as to not injure my tendon again. I finally got the doctors OK to start running again! The doctor told me I would experience some pain as I started getting back to running. To help with the pain, as I am training again in my running, I discovered a great product. 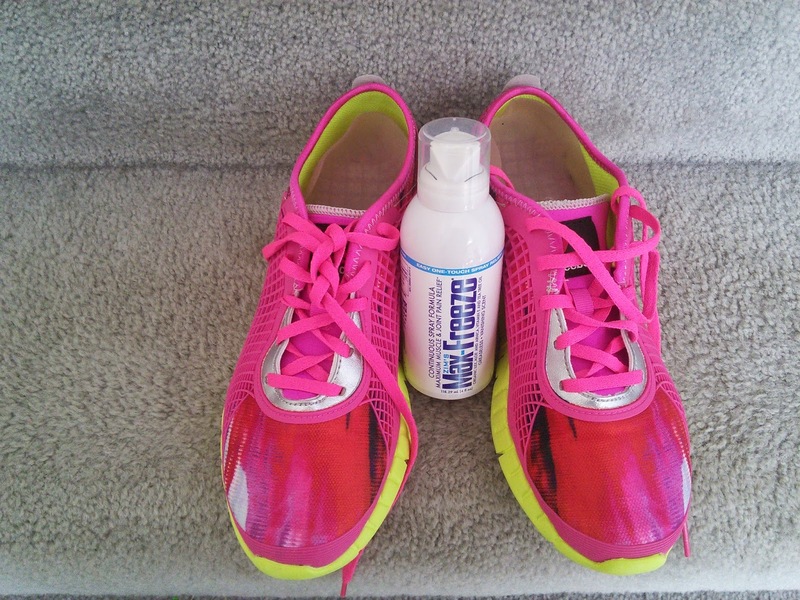 Zim's Max-Freeze is a one touch easy to spray product that helps relieve my pain from running. This is the massive boot that I had to wear for 3 weeks. It made me walk so slow that old people with walkers passed me in the grocery store. I am so happy that I no longer need this boot. So let me tell you how Zim's Max-Freeze spray has helped me with the pain of learning to run again. This easy to use spray delivers temporary relief to aching muscles and joints which is awesome while you are waiting for the asprin to kick in. You can spray Zim's Max-Freeze on your back, neck, shoulders, or anywhere else that has pain like in my case my heel and ankle. This spray is formulated with naturally-based ingredients including aloe, arnica, Vitamin E and tea tree oil. I did not notice any over powering scent when I sprayed it on my heel, just a nice relief of pain. This spray is great for any aches and pains of muscles that you get from fitness, working around the house, or just everyday life. Zim's makes many other awesome products for the skin and body. They sent me a tube of Zim's Advanced Crack Creme with Hydrocortisone to help with my very dry skin. In the winter my hands get dried and cracked from the cold air. Those cracks and my hands and around my fingers hurt and regular lotion does not help. This Zim's Crack Cream contains Hydrocortisone to temporarily relieve itching and rashes associated with minor skin irritations such as like my dry hands. I also use it on my ankle were I had to get a shot of steroids due to my achilles tendon swelling from the injury. That shot left my skin very itchy and this cream helped with that. This cream is also great for poison ivy, poison oak, insect bites and other dermatitis skin conditions. This is a great product to keep on hand as you never know when your skin might need it. My boys get eczema in the winter so I will use this cream on their skin too. Check out all the great products that Zim's makes on their website. Now for the best part! I have a can of Zim's Max-Freeze to giveaway to one of my readers. Just enter on the Rafflecopter form below and good luck! "These opinions are my own and I was sent the above mentioned products to write my post." 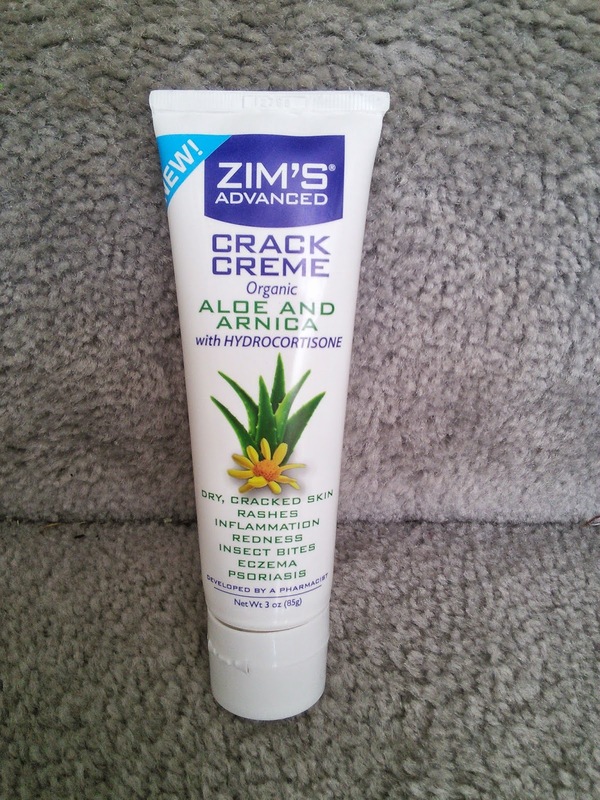 Zim's Advanced Crack Creme with Hydrocortisone looks like it would be great for me as I have troubles in this area! I bet my Dad would be interested in the Zims Max Freeze. awesome giveaway... I hope I win! I have chronic back pain and would love to the Zims Max Force spray or gel. I'd love to win the Max-Freeze for my husband's back pain and my shoulder when I over do it working out in the yard. Thanks! nice product! l like arnica and that's in Zims. looks like it works well. My hubs swears by Zim's Crack Creme, but he's never tried the Max Freeze. I bet he'd love it too! The spray-on seems like it would be great for my shoulder and back pain -- those hard to reach spots that get messy when I try to put creams on them. I'd also like to try the Arnica Max Gel for my fibromyalgia pain and bruising. My feet would like to try the Max Freeze for feet continuous spray. I am a breakfast waitress and after a morning of running around my feet are not very happy. crack stick lip moisutrizer! My lips crack something awful. I love that they use great ingredients. I would like to have their vapor rub on hand it is cold season after all. Zim's Advanced Vapor Rub is one of their products I would be most excited to try. I'd like to try the Maximum-Heat Roll-On. This gel is one of the best remedies I have ever tried and since I have had arthritis in my back, hips, knees and hands for years that's a lot!! It helps as soon as I rub it on and works for hours! Sometimes I had so much pain I couldn't fall asleep, with Max-Freeze longer have that problem!